The Chaverim M’Israel wrap up their year in Cincinnati and head to Camp Livingston for the summer. Each September the Jewish Federation of Cincinnati welcomes two new Friends from Israel/Chaverim M’Israel. This year we welcomed Liat Falah and Stav Barkai, who will stay through summer 2018. 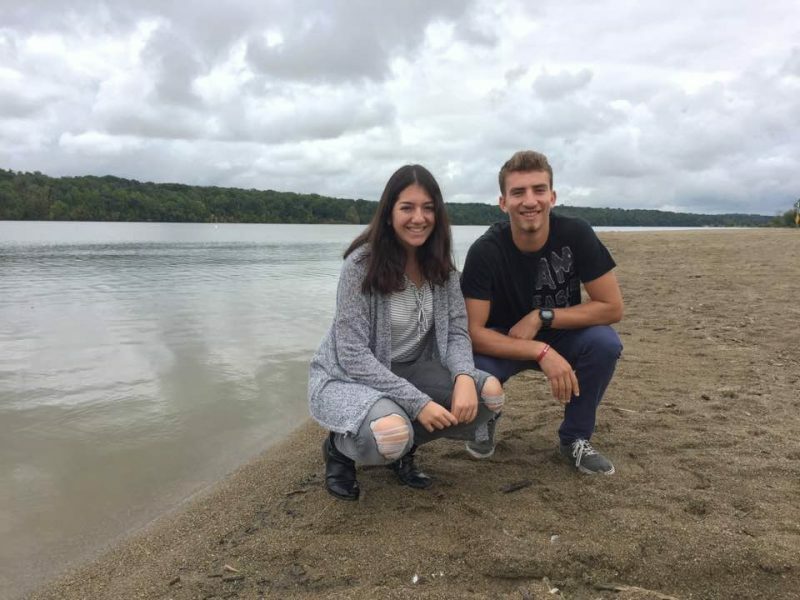 This is the 14th year of the Friends from Israel/Chaverim M’Israel program, which brings two post-high-school teenagers from our partnership city, Netanya, to Cincinnati to share their stories, and teach people across the Cincinnati area about Israeli life. This is a Partnership2Gether (P2G) program of the Jewish Federation of Cincinnati. As we wrap up our year here in Cincinnati, we took a look back at all that we have done. The list is incredible! It is packed with experiences, people, schools, synagogues, traveling, learning, teaching, and of course, food! So as we say goodbye to Cincinnati and head to Camp Livingston for the summer, we leave a new “guide” of sorts—all the Cincinnati things we will take back with us to Israel. 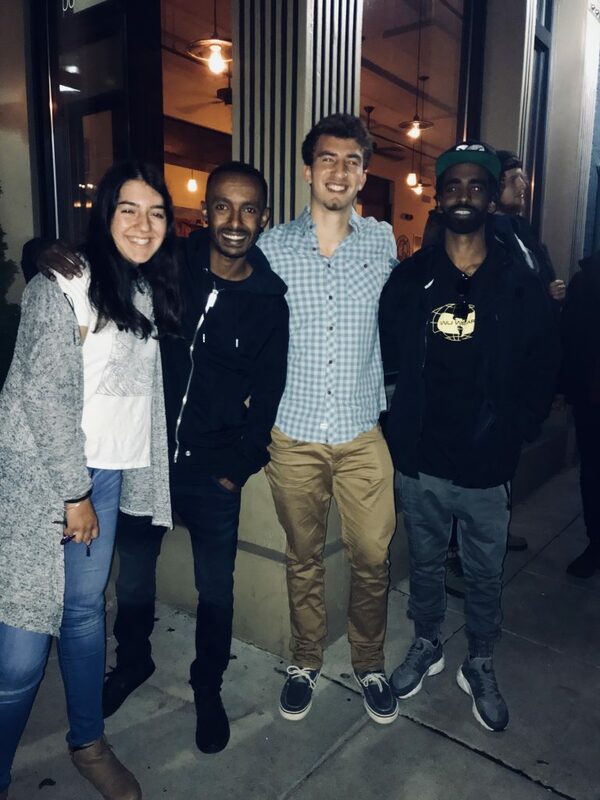 The Chaverim M’Israel pose with the Israeli hip-hop duo Strong Black Coffee after their Israel at 70 performance at Memorial Hall. The People: The people in Cincinnati are the nicest and the warmest people we have ever met! They really truly care about each other, and they will do anything to help. Midwestern Manners: Everybody here is SO polite. Sometimes it drives us crazy! Asking strangers about their day and opening doors for people is now part of our daily routine. The Food: The food scene in Cincinnati is an interesting thing. We both LOVE Graeter’s, but disagree on Skyline Chili. Stav never went back after his first time (which was traumatic), but Liat was “forced” to go several times… and even started to like it! The Planning Ahead: In Israel, plans first take shape at the most a week beforehand, but here… everybody already knows their schedule through 2020 and what they are going to eat three months from now. Jewish Pluralism: Before we came to Cincinnati, we didn’t know much about American Jewry. It has been amazing for us to see how people from different streams of Judaism live and work together. And after being here almost a year, we can say that we have learned a lot about Jewish pluralism. When we return to Israel, we will share everything we have learned and experienced here in Cincinnati. Landscapes: Fortunately, we were able to squeeze some vacations into our busy schedules. We saw some of the beautiful landscapes this country has to offer, and no, we don’t mean the endless corn fields of Ohio. We traveled all over the country. We went north to Chicago, Niagara Falls, and the Finger Lakes; south to Miami and Asheville; east to Boston, New York City, and Washington DC; and west to San Diego, Las Vegas, San Francisco, and Los Angeles. There is no doubt that we saw a lot in the past year. Yet, there is much more to see! Chavera Liat Falah spent some time with Jewish Federation volunteers on Super Sunday. Community: The community here is incredible. 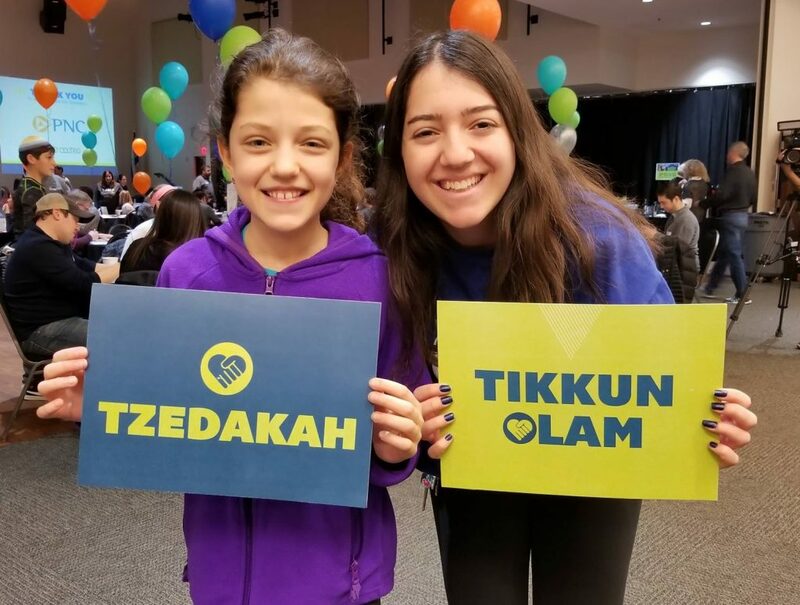 We have never seen a community as embracing, supportive, and inclusive as this community, and we are proud to say that we feel part of the Jewish community in Cincinnati. Friendship: We had the privilege of making some amazing connections with people of all ages –from a kindergartener to a high school student, to a university student. To anyone that we worked with, or worked out with, it was our pleasure to know you. And we know that these friendships will remain strong even after we return to Israel. Family: To our host families, what can we say more than “thank you?” Thank you for agreeing to open your home to us. Thank you for listening to all that was on our hearts. Thank you for being there for us 24/7. Thank you for “tolerating” us during your family vacations. Thank you for trying to learn a few sentences in Hebrew. Thank you for showing us American holidays. Thank you for making us part of your family, and thank you for being who you are! We want to end with a quote that we strongly believe in. We believe that our work here will show results—maybe not this year or next year, but one day in the future. We will probably not be here to experience it, but we can live knowing that we did everything we could have done to educate others. And just like we try to educate others, there is one special woman who did the same for us. A woman who was there at any given moment for us, with the look and spirit of an 18-year-old but with the wisdom of a 90-year-old. Sharon Spiegel brought her heart and soul to this program, and because of her, this program is as successful as it is. The Chaverim M’Israel are hosted in homes by community members. The experience of hosting is as enriching for the families as it is for the chaverim. Israel is now a part of each family. And each family shares a son/daughter in Israel. If you want to learn more about hosting an Israeli teen in your home—for shorter experiences or as a chaverim host—please contact Sharon Spiegel at sspiegel@jfedcin.org. Thank you to this year’s host families: Brett & Noah Stern, Felicia Zakem & Ken Heldman, Allyson & Jeremy Richards, Michael Zaretsky & Adrian Parr. To bring the chaverim and their story to you, please contact Sharon Spiegel, Program Director, at sspiegel@jfedcin.org.